In Daddy’s Little Star, Little Fox asks some big questions about the sky: Where does it stop? and Where does it start? I hope the story inspires delight in exploring the natural world. So, the book is about the sky. But it’s also about family. When Daddy Fox says, “The sky is like love… it starts right here, with my own little star,” he is expressing the boundless love of a parent for their child. This Thursday, 14th February, is Valentine’s Day, when we traditionally celebrate love. 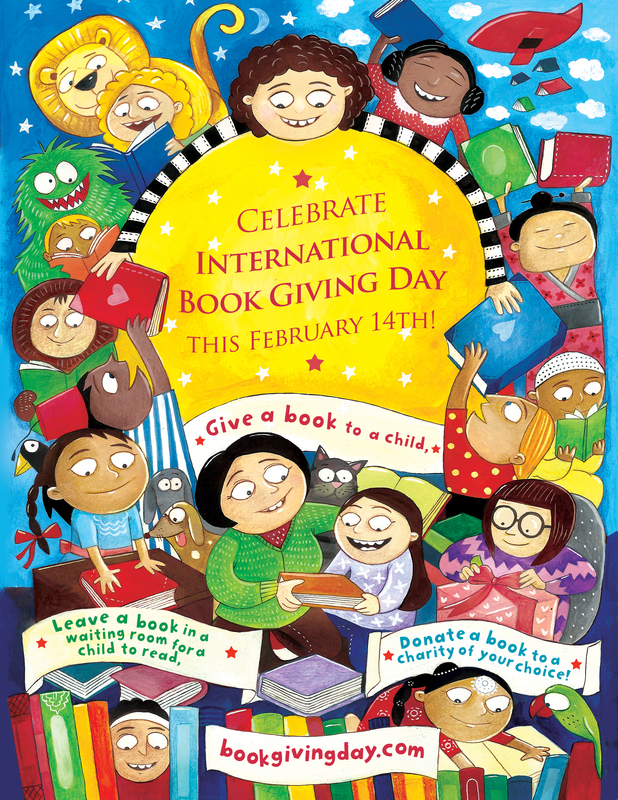 Fittingly, it’s also International Book Giving Day. This fabulous volunteer initiative to increase children’s access to and love of books started up in 2012. It’s now celebrated in around 45 countries. According to research published by the National Literacy Trust in 2017, a staggering three-quarters of a million UK school children don’t own a book. They may never have experienced the joy of snuggling up to share a story. Giving a book to a child is just one way we can help. The IBGD’s How To page has lots of ideas for how to get involved, through communities, charities and social media, and the site offers downloads like this great poster by Priya Kuriyan, which is available in five languages. Have a wonderful Valentine’s Day, and please consider giving someone a book, or making a book donation to a hospital or school or charity. They’ll love you for it. #bookgivingday.